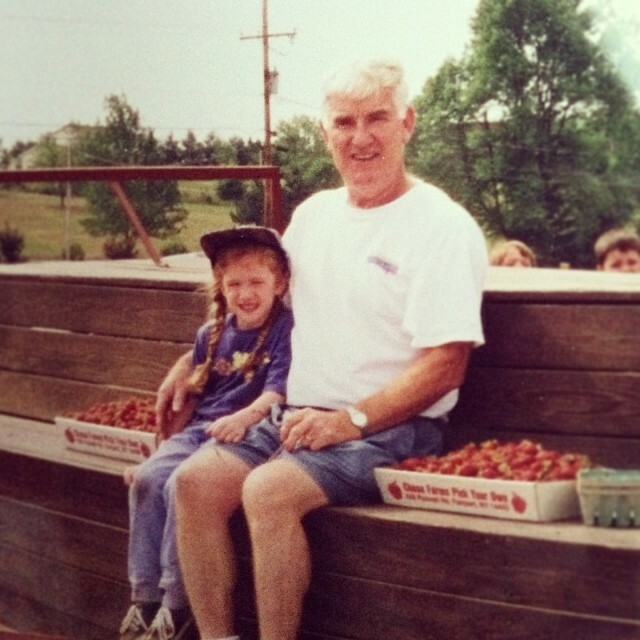 One of my favorite summer traditions is strawberry picking with Grandpa. Ever since I was a young girl, I have been known as his “Little Red-Haired Strawberry Picker”. It was a humid, sunny July morning this year when Grandpa and I picked berries at Bauman’s Farm Market for a solid hour until we complied 8 quarts each (let’s also note that for every 5 berries I picked, I snuck one for myself…so did Grandpa…red head’s think alike). 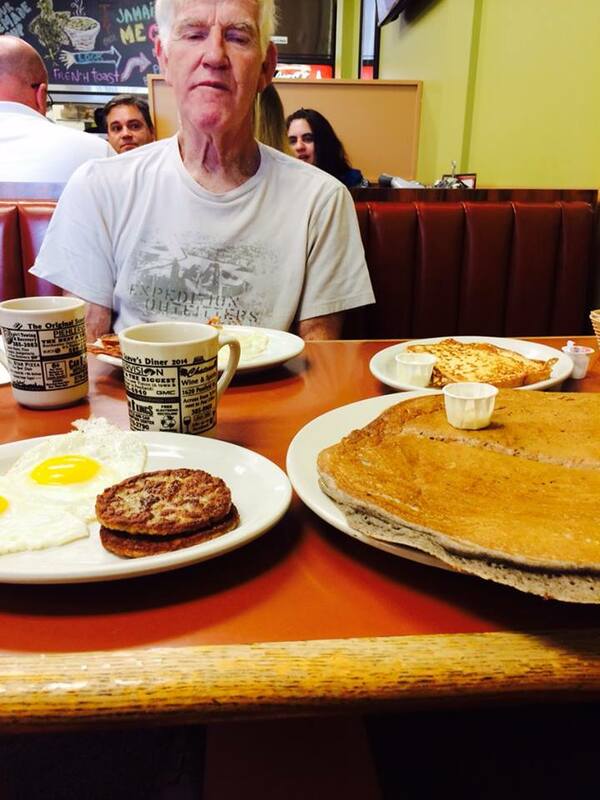 After a successful berry-picking trip I took him out to one of my favorite breakfast joints in Penfield called Steve’s Original Diner where his jaw dropped at the sight of their plate-sized “Love-Cakes”. But, what does one do with the seemingly endless quarts of strawberries even after mom has made 9 batches of strawberry jam? Well, use them to spice up your yogurt, oatmeal, or cereal. Even dip them in greek yogurt and put them in the freezer! But when there are still berries left after that, there is only one thing to do. Ah ha! 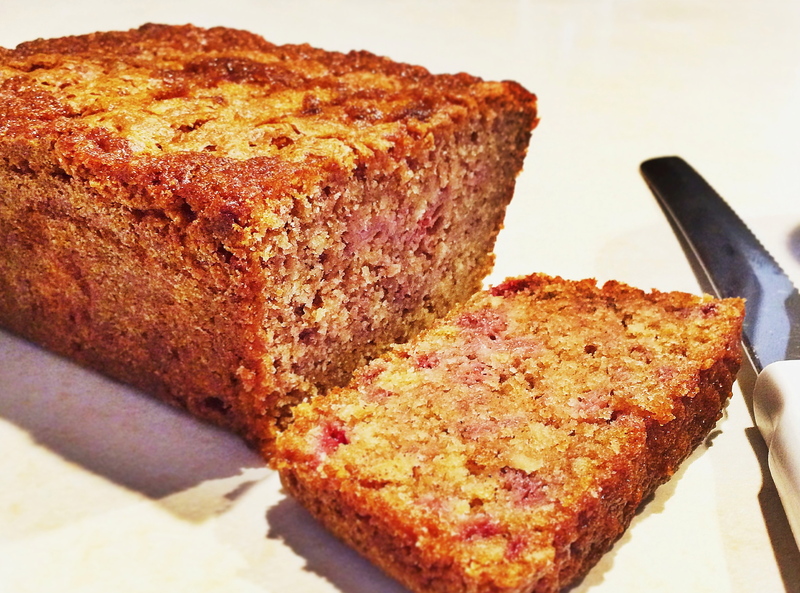 You make strawberry bread! Beat eggs and sugar; add oil and vanilla. Then mix in dry ingredients. Add strawberries and mix well. Pour into 2 greased and floured loaf pans. Bake for 1 hour. Bon appétit!